Metal detecting is a fun hobby. You get to enjoy the outdoors and there is always the potential to dig up some valuable treasure. It's one of those hobbies where the better you are at it, the more enjoyable it is. In this article we will give you the best metal detecting tips to improve your skills. You need to learn how to metal detect the proper way. If you're not doing it correctly then you probably won't have much success at all. Every device is a little different, so make sure that you take the time to read the instruction manual and learn the proper settings. Technique is also important, and the same technique is used for any device. The general rule is to go 'low and slow'. Keep your metal detector as low to the ground as possible and move it slowly. 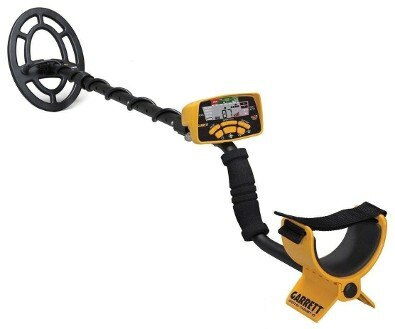 This will ensure that your metal detector will be able to pick up objects with the most accuracy. Once you know how to properly metal detect then go out and practice. In this hobby practice makes perfect. As a beginner you could bury some coins in your yard and then see if you are able to pick them up with your metal detector. If you are using a sub-par metal detector then you probably won't pick up much. To maximize your results you'll want to buy a good brand. If you are a beginner then you shouldn't spend a lot of money on your first device. This is because you'll want to first make sure that you enjoy the hobby and that you'll plan to continue it for years to come. There are plenty of good brands available for under $300. In this price range you could consider buying the popular Garrett Ace 300. After you've spent years in the field, you may consider specializing in an area such as beach, relic, or gold metal detecting. You could buy a higher-end model that works best for a specialty. The more time you dig, the less time you spend detecting. So you want to be as efficient as possible when digging. Don't put in too much energy and don't take too long. 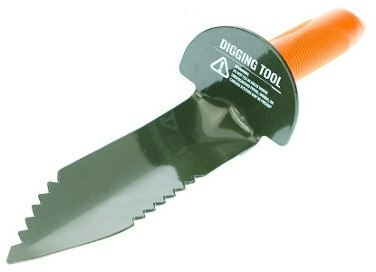 It's best to use good digging tools like a 12" Edge Digger and a pin-pointer. For the beach you can use a basic metal scoop. In addition, make sure you follow proper digging etiquette. Fill in all the holes that you make. The soil or sand needs to return to its original state. There is a lot of gray area when it comes to laws and regulations. But in some cases the law is quite clear. You need to have permission from the property owner in order to search on private property. It's best if you have written permission. In most cases you will split profits with the homeowner- generally it's a 50/50 split. If you plan to search on a family member's property then usually you will just need their verbal permission. Public property is usually a gray area. It's generally going to depend on the local laws and regulations. If a local security officer or police officer asks you not to metal detect in the area then you should cease to do so. Don't be angry or discouraged- there are plenty of other areas to search in. It's illegal to go metal detecting in state and national parks. Your success can largely depend on where search. It helps to be creative as some places are better than others. Over time you will find the best spots for you. The beach is always a good spot. You have the potential to find coins, rings, and other pieces of jewelry. It's also nice to be outside at the beach and to enjoy the sea-breeze. One important beach metal detecting tip is to search at or above the 'towel line'. The towel line is where people sit on the beach. If you search too close to the water then you are unlikely to find much. The best times to go are in the early mornings around 5am or later in the afternoon around 6 or 7pm. You don't want to go when it's crowded. Any area with high activity is a good place to search. These areas include: picnic areas, baseball fields, soccer fields, etc. For these areas it's best to go early in the morning. For sports fields, it's usually best to search under or near the bleacher seats. If you want to find valuable relics then you need to search on old grounds. The old grounds could be in rural or wooded area so make sure to pack accordingly. It's important to do your research to determine where to search. Some people use old civil war maps and they are able to find some really nice items. Relic hunting is much more ambitious, as sometimes you will drive long distances and camp overnight. It's a good idea to clean your metal detector on a semi-regular basis. After a long outing you should rinse it off and brush off any dirt or sand. It's also a good idea to lubricate the wires on occasion. You want to keep your machine running at 100% and you want to protect your investment. Safety always comes first. There are a few basic safety precautions to follow. If you are going to be searching on hard soil then it's a good idea to wear knee pads. They can make you more comfortable and relieve some pressure off your knees when digging. Make sure to wear long pants if you go into the woods. You definitely don't want to get poison ivy, poison oak, or poison sumac. Another item for the woods is bug spray. There is nothing more annoying than trying to metal detect while being attacked by mosquitos. Lastly, if you plan on going to a more remote area then tell someone where you will be. It's also good to keep a charged cell phone in your car. It's important to have reasonable expectations. Just know that you are not going to find a valuable item on every single venture. Sometimes you can go on cold-streaks and other times you can go on hot-streaks. But most of the time you are going to dig up junk- that's just the nature of this hobby. As you gain more experience, you will gain more success. So don't be discouraged! 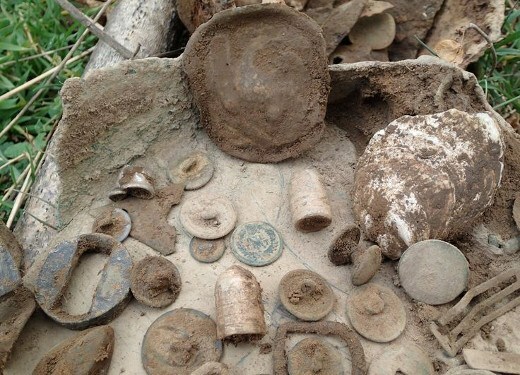 Metal detecting is a great hobby and it's worth investing time into it. You need to keep practicing and keep refining your strategy. Over time you could have yourself a nice collection of treasure.